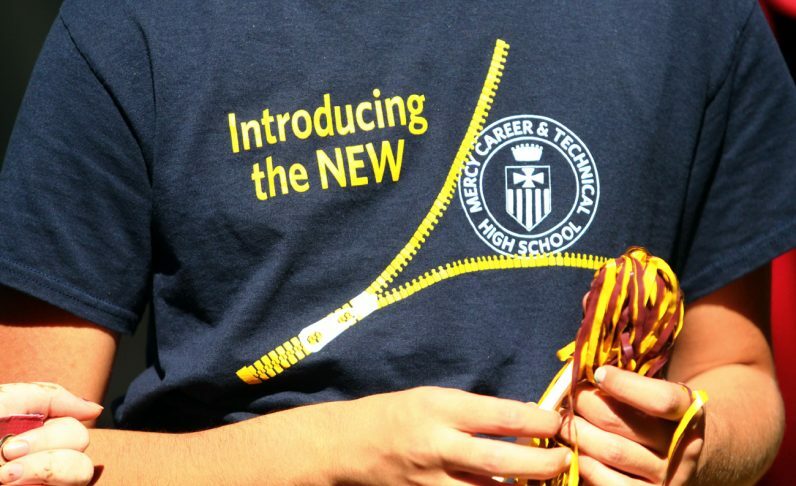 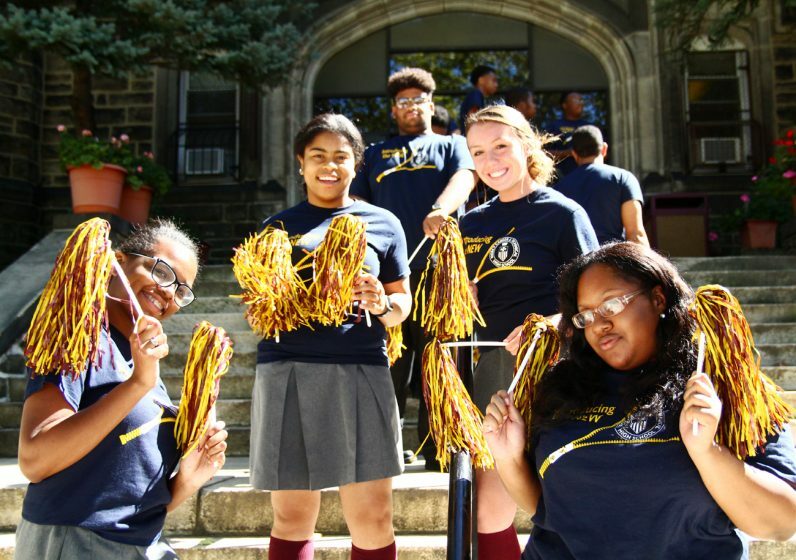 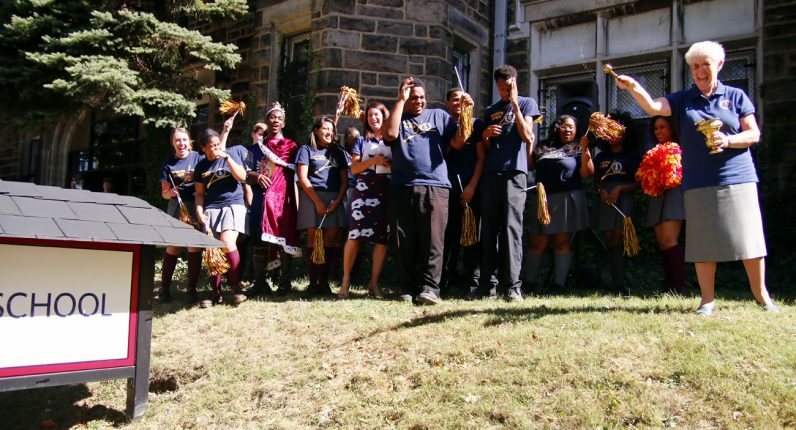 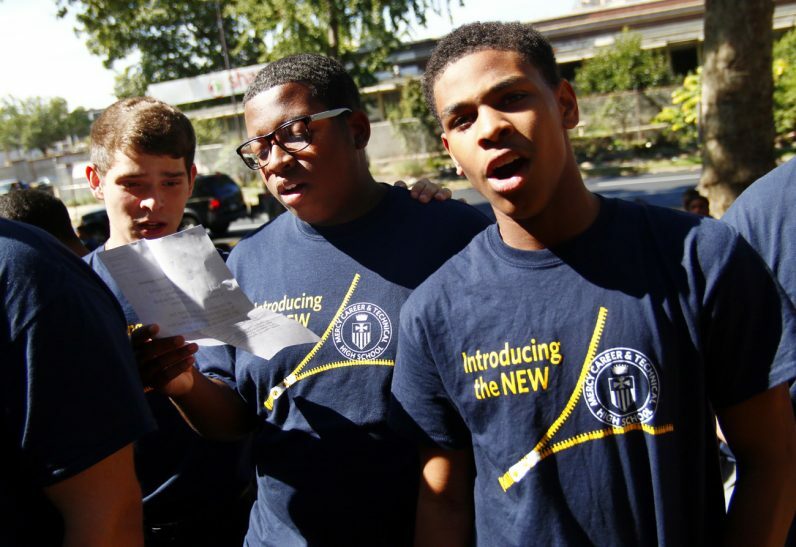 The former Mercy Vocational High School, founded in 1950, announced its new name this week with a pep rally at the school located at 2900 West Hunting Park Avenue in Philadelphia. 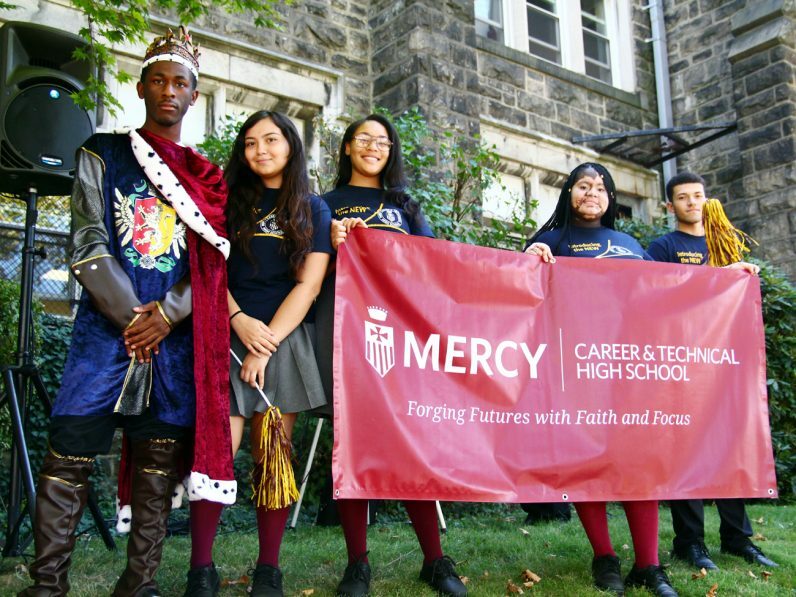 The change emphasizes the Sisters of Mercy-led school’s focus on immersive, project-based education to prepare students to start a career in the workforce or continue their education after graduation. The school aims to provide contemporary job options and a non-traditional path to higher education. 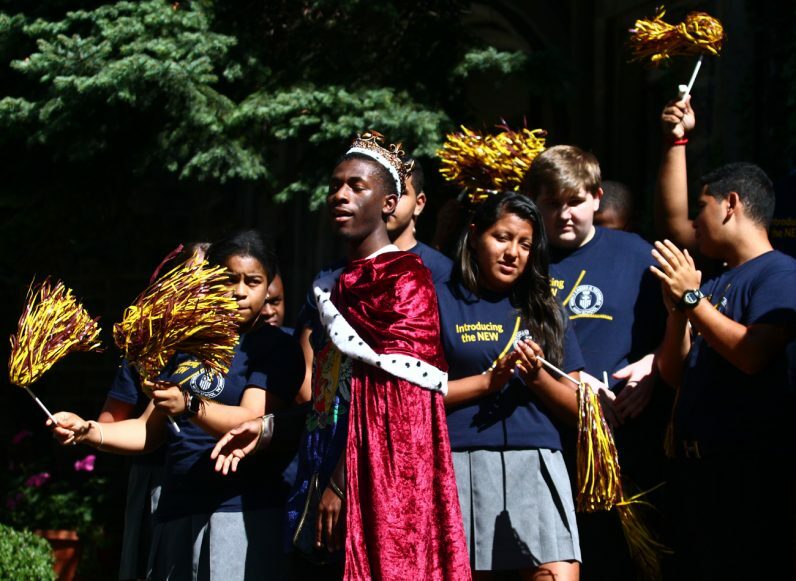 Students proudly sing their alma mater at the pep rally in honor of the school’s new name. Ashlee Upchurch, Mercy CTE Student Council president, and George Matysik, class of 1999, unveil the new sign in front of the school on Hunting Park Avenue in Philadelphia. 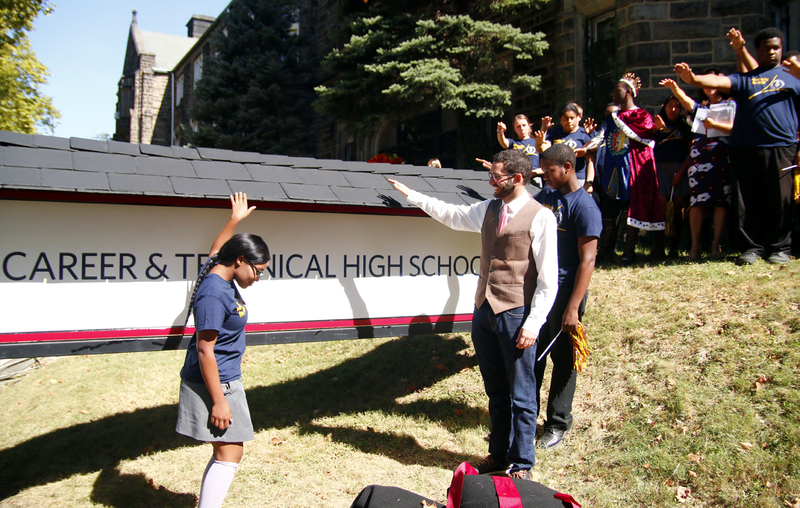 Students and those in attendance extend their arms over the new sign in prayer for the blessing. 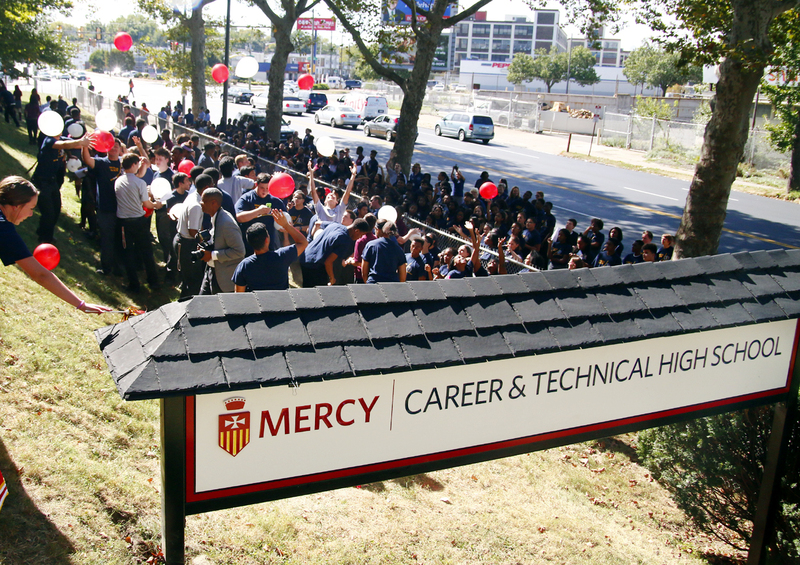 Balloons fall from the top of the school as students celebrate the new name of Mercy Career and Technical High School. 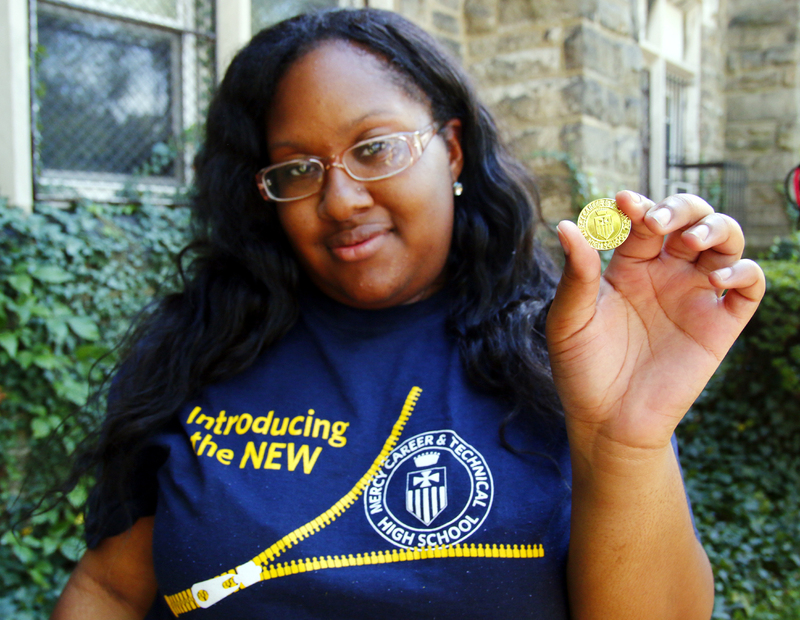 Student ambassador Alexes Epps, class of 2012, proudly shows off the commemorative pin she received indicating the new school name. 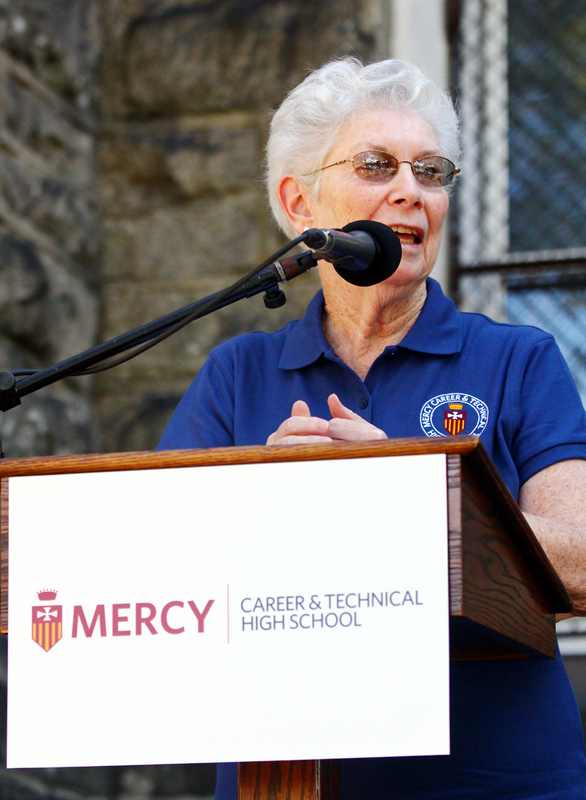 Sister Rosemary Herron, R.S.M., president of Mercy Career and Technical High School, announces the new name of the school. 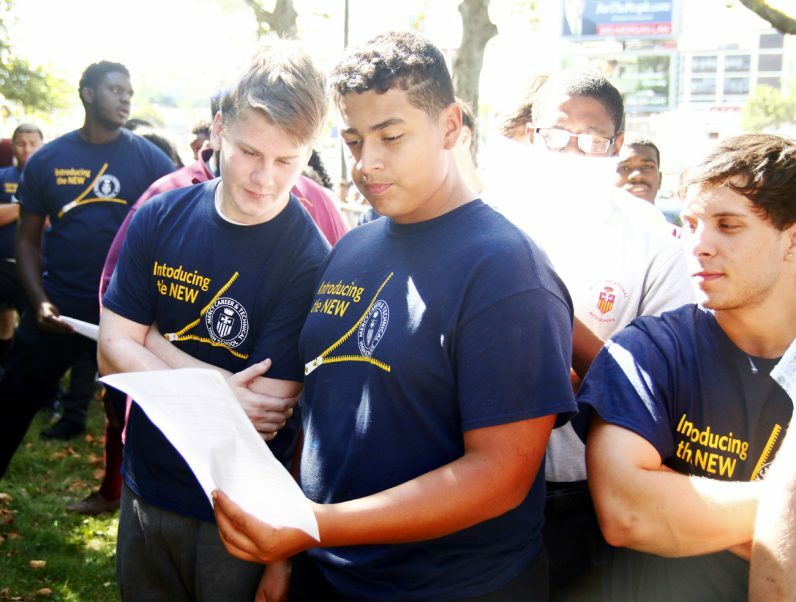 Students pray together at a rally for the newly named Mercy Career and Technical High School.